Taking dead aim at state high school hockey fans, two burning questions were screamed in big, bold, top-of-the-page headlines. “Or Is it Duluth’s Pokey Trachsel?" 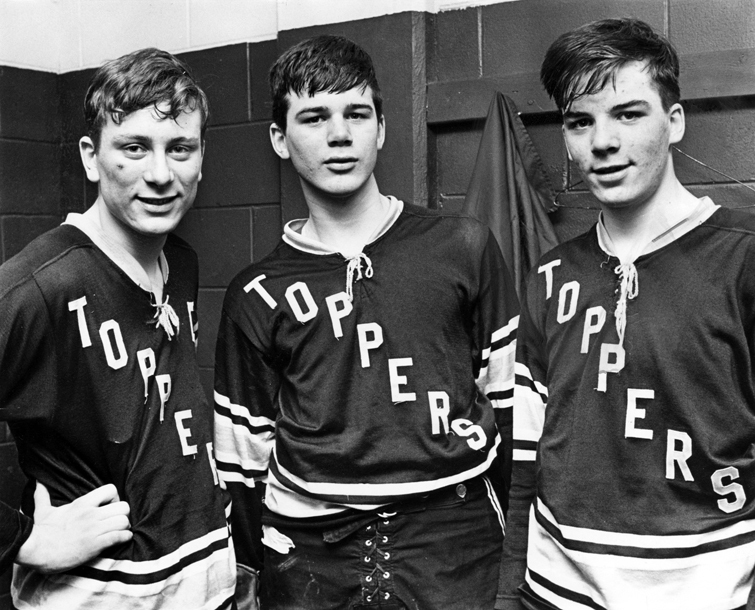 The Feb. 17, 1969 edition of the Minneapolis Star sports page stacked feature stories on two of the most electrifying high school hockey players in state history. That spring Boucha took center stage at the new Metropolitan Sports Center in Bloomington, site of the public schools state tournament. Trachsel, meanwhile, already had won a fourth straight state Catholic schools title with the Hilltoppers in Duluth. “He was very skilled defenseman, a big kid,” said Hermantown coach Bruce Plante, who played against Trachsel as the goaltender for Cloquet. “He was not as big as Boucha, but he was in the mold. Steve Trachsel, nicknamed Pokey by his mother after a children’s book titled “Pokey the Puppy,” gained citywide acclaim as an ace 12-year-old pitcher who led Duluth to its only appearance in the Little League World Series. A huge photo of that team is affixed to the brick exterior of the Duluth Heritage Sports Center, a young, larger-than-life Pokey – already approaching 6-feet and towering over the rest of his teammates – is hard to miss among the Little Leaguers greeting visitors to the building. “That was was something else,” Trachsel said about his Little League exploits. “We played about 12 one-run games to get there. Omaha, Iowa, Ohio -- they were all one-run games. We flew out of Duluth. We toured the White House. 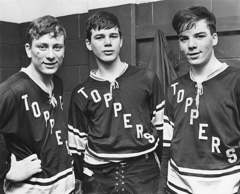 Trachsel, one of four hockey-playing Trachsel boys, excelled at every sport he tried. 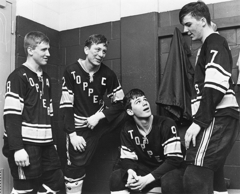 He was also a football star, but hockey eventually became his primary focus. 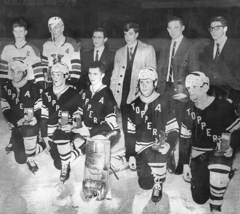 Trachsel scored 100 goals in 30 games in his final Bantam season. A standout center for Cathedral as a freshman, Trachsel was moved fromforward to defense as a sophomore. He rarely left the ice during the next three seasons. “Sometimes I think he took penalties just so he could take a break,” said Duluth East coach Mike Randolph, Trachsel’s teammate at Cathedral for three seasons. Trachsel led Cathedral to its fifth-straight Catholic schools state title by scoring 12 points in the three games in the 1969 tourney. The Hilltoppers beat West St. Paul Brady 9-1, St. Thomas Academy 13-4 and Hill 6-1 en route to the title. Trachsel was named to the all-tournament team for the third-straight year. 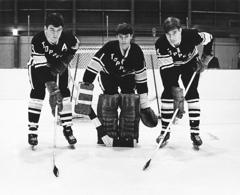 Cathedral beat Boucha-led Warroad in Warroad, knocked off International Falls and tied Section 5 champion Minneapolis Southwest during the 1968-69 season. Trachsel turned down scholarship offers from Minnesota, Notre Dame and Colorado College to play for Minnesota-Duluth. 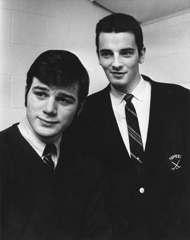 He was used both as a forward and a defenseman for the Bulldogs, and he scored a school-record five goals in a single game in 1972 against Lake Superior State. The record was tied on Feb. 5, 2011, by Mike Connolly in a 6-4 win over Minnesota. Trachsel is retired and living in Duluth.